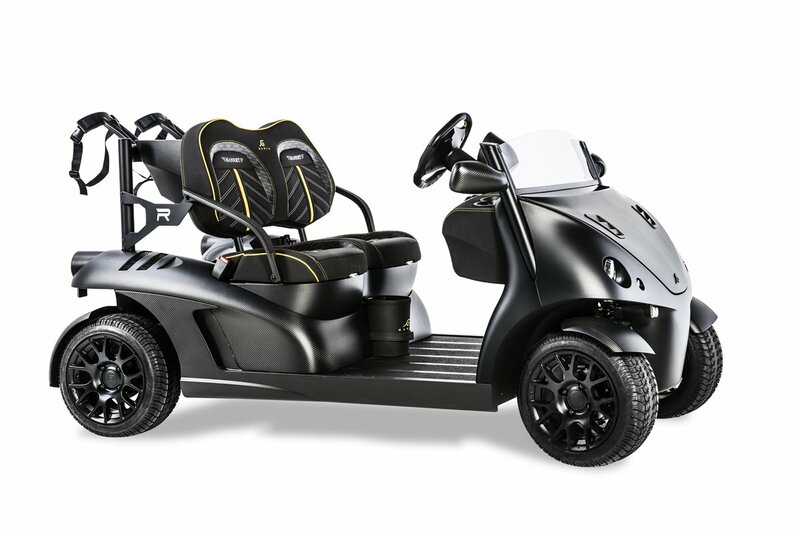 PGA star Bubba Watson came up with a fantastic idea to travel across golf courts without leaving a footprint in the turf! 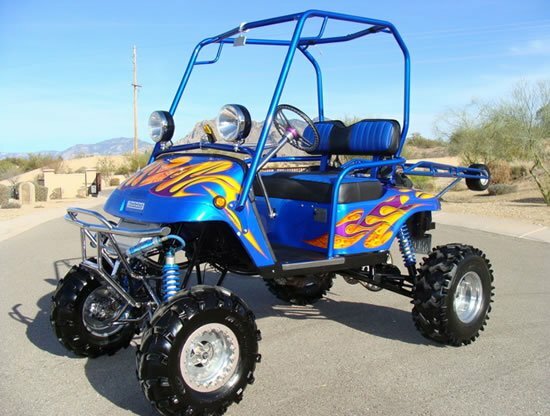 Along with his sponsor, Oakley, Bubba commissioned this one-of-a-kind golf cart, unlike any we’ve ever come across before. 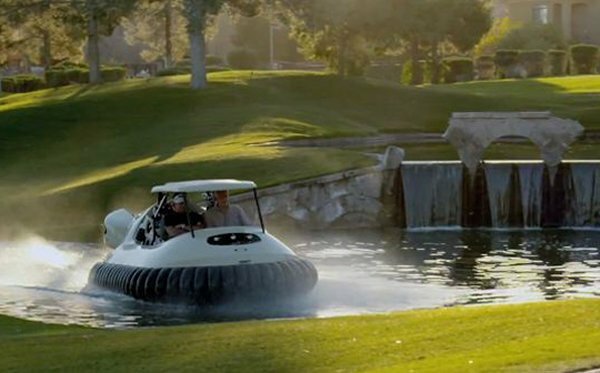 What sets this apart from the rest is the fact that the BW1 Golf Cart is a hovercraft and floats above the grass and across water obstacles on an air bubble. 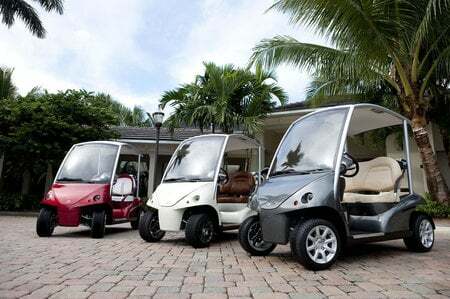 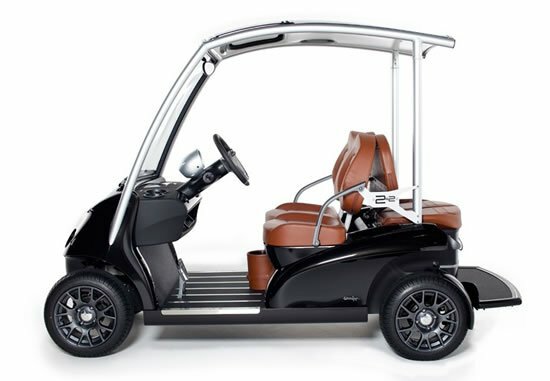 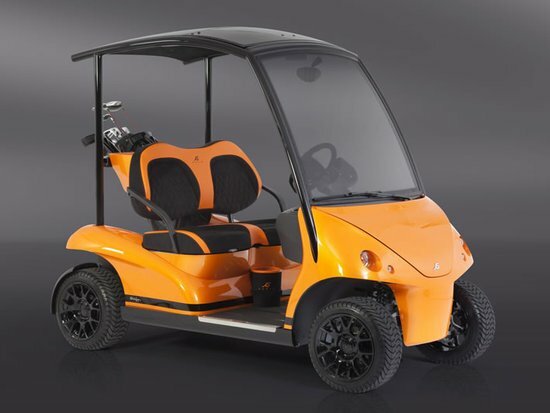 Now this golf cart isn’t going to replace the current wheeled versions any time soon, but the concept does seem fantastically practical, particularly because of the fact that a vehicle like this does no harm to the well-manicured golf course! 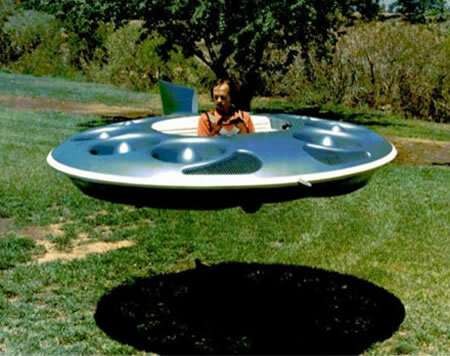 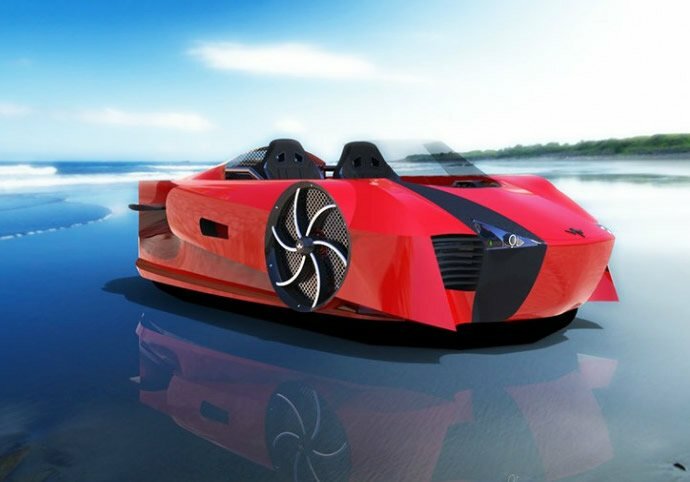 The BW1 is a modified version of a hovercraft designed for personal and professional use. 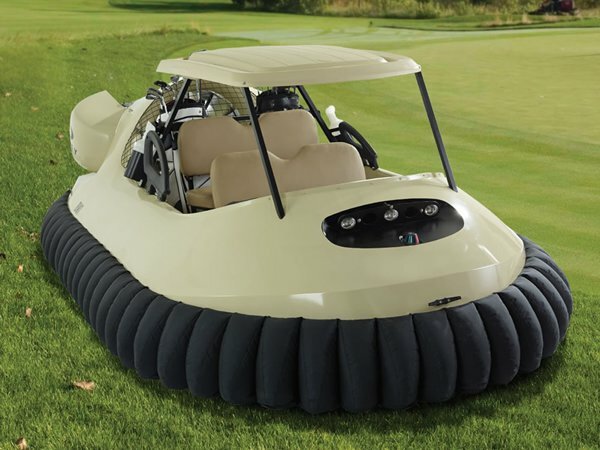 This vehicle was developed by an Indiana-based company called Neoteric Hovercraft Inc. Also, the hovercraft golf cart fulfills all of the conventional requirements a golf enthusiast would look for in a vehicle as such, with the added advantage of a fun and exciting ride, instead of the traditionally slow wheeled cart. 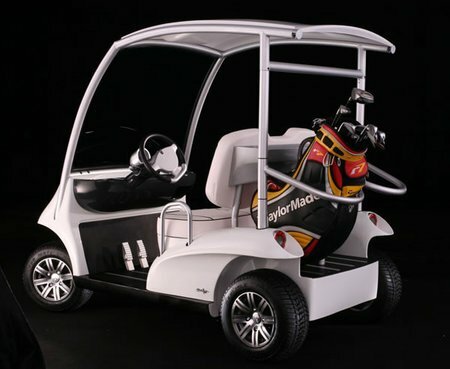 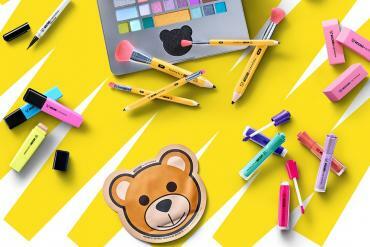 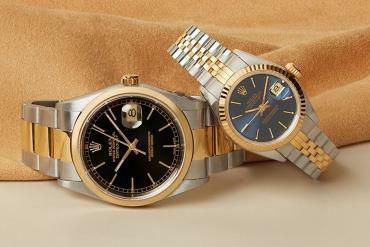 A similar model could cost up to $20,000.